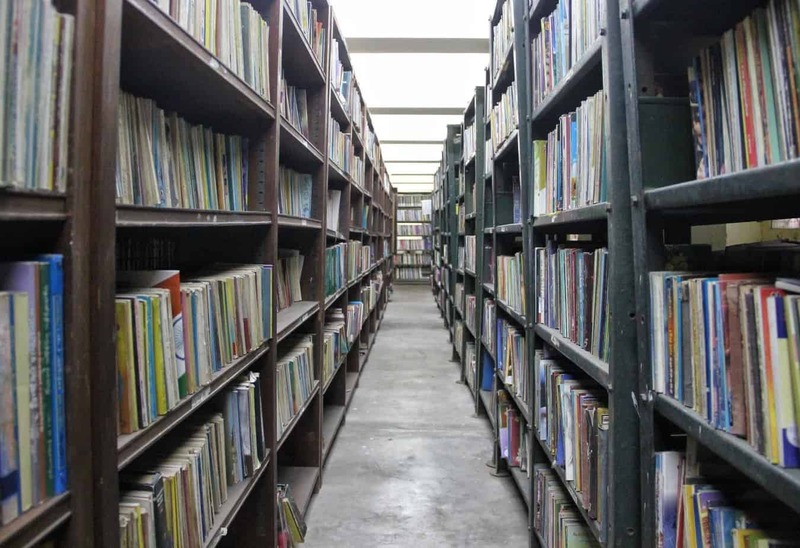 Would you believe it if you hear that Chennai has around 160 public libraries? While the Connemara and the Anna Centenary libraries are icons in their own right, the city has a total of 162 part and full time libraries open to the public. From military quarters to hospitals and the regional passport office, part-time and branch libraries have been functioning modestly from a range of spaces across across different wards. The Tamil Nadu Public Libraries Act, notified in 1948 provided for the establishment of public libraries for both rural and urban areas across the state. As per the Act, Local Library Authorities were constituted to manage district libraries under the Directorate of Public Libraries, under the School Education Department. The District Central library, named after noted Tamil author and Dravidian scholar Devaneya Pavanar, tops the hierarchy in Chennai. The Central Library is tasked with coordination and distribution of books to all branch, part and full-time libraries in the district. According to the Directorate’s annual report for 2016-17, amongst themselves, the branch and part-time libraries in Chennai district have over 66 lakh books, the highest compared to all other districts. Though many of these local libraries seem notoriously disheveled, the stories they camouflage are completely unlike their unkempt facades. Of the many gems that remain unnoticed in crowded roads and nondescript street corners, the one in Kottur’s New Street comes as a welcome surprise. 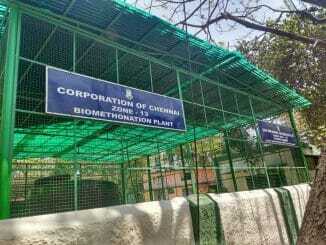 Sandwiched between the Chennai High School and the local e-seva centre, one can walk right past without noticing it in the least. Anitha, the caretaker who manages the library seems to love her job. She knows most of the regular visitors by name. “There has not been a single day in the last five years where the library has had no visitors. Many of our regular visitors make sure to visit the library at least once a day,” she says. 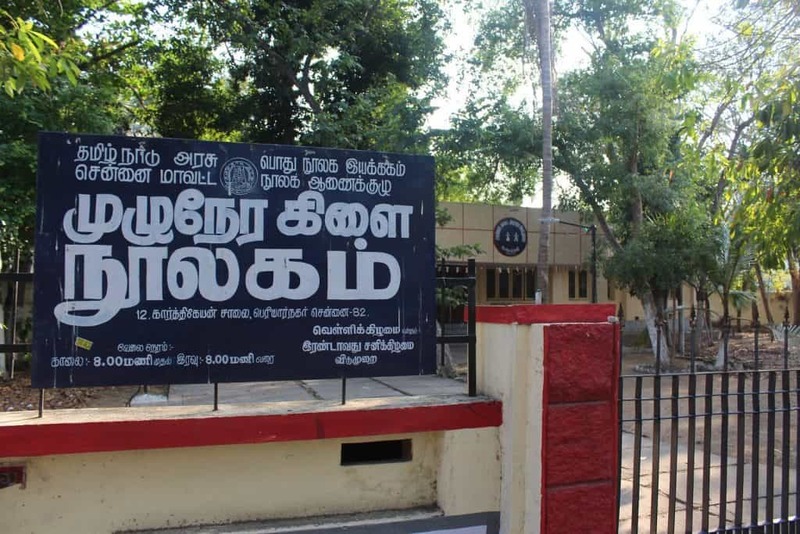 The branch library has joined hands with the Chennai High School next door to improve reader engagement. Every time the school organises a debate or essay writing competition, students flock to the library next door. “Books written by Bharathiar and Kannadasan are a huge hit among students,” informs Anitha. Many of the students are members already and recently 100 membership cards were issued to interested students from classes six to ten. The newspapers and periodicals sections seem to draw the largest numbers in most libraries. 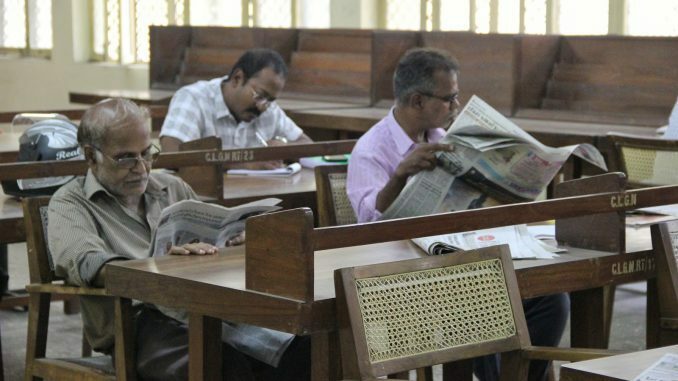 Depending on their size, the libraries subscribe to somewhere between 15 to 20 newspapers, in addition to around 100-150 periodicals, mostly in English and Tamil. Magazine enthusiasts from the neighbourhood throng the spacious reading room of the Gandhi Nagar Circle Library. “The membership subscriptions have gone down, no doubt. But there still are a lot of people who like coming to the library, sit down with a newspaper spread out in front of them on the table and read in silence,” says librarian N. Agilan. He attributes the decline mostly to the rise in mobile internet connections and also the better-equipped, air-conditioned Anna Centenary Library in Kotturpuram close by. Similar sentiments are voiced by the librarian at the Full Time Library in Periyar Nagar. “People enjoy coming here in the mornings and evenings, mostly to go through the daily paper. We have a varied selection of dailies in Tamil, Telugu and English. Our periodicals section with around 150 weekly, fortnightly and monthly magazines is a huge hit among regulars,” adds librarian G Venkatesh. While many men prefer to sit down and read at the library, a lot of women prefer to take the books back home with them. For a one time membership fee of Rs. 50 and a yearly subscription of Rs 10, members can borrow three books per fortnight. 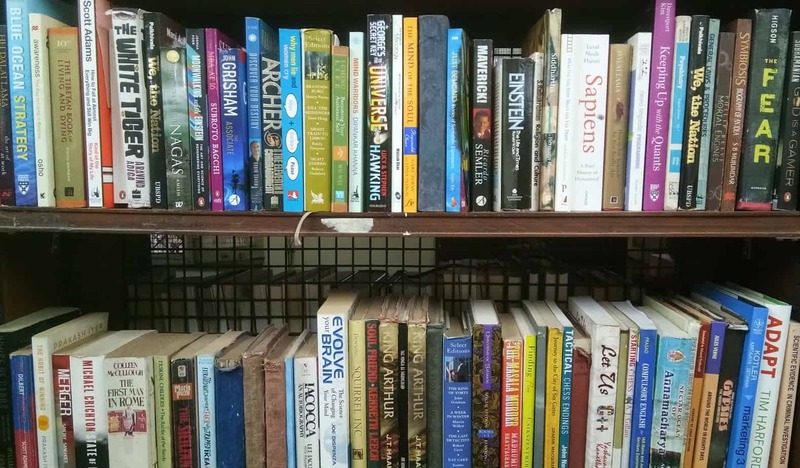 “Close to 250 books go out on a daily basis and the Tamil novels section is the most popular among the ladies here. Novels written by Kalki Krishnamurthi, Jayakanthan, Ashokamithran are in constant demand,” says Jayalakshmi, Grade III librarian at the Gandhi Nagar Circle Library. With interest in visiting libraries slowly dwindling, these institutions are now tasked with piquing children’s interest and getting more students to visit their premises. “Our outreach mostly revolves around getting children to read books other than the ones prescribed by their school syllabus. Workshops and competitions are held regularly and the response, especially from children in the Malligaipoo Nagar slum close by has been very encouraging,” mentions Agilan. Library members seem most happy with the constitution of the Vasagar vattam or readers’ forum. From debates to book reviews and discussions, these sessions curated by the libraries in association with noted authors and proactive members are a huge hit. Noted Tamil author Vaiyavan heads the Gandhi Nagar Library’s readers’ circle which hosts book reviews and discussions every month. In addition to this, the Periyar Nagar Library organizes an “Ariviyal Arangam” to introduce children to scientific concepts and related discussions once a month. Sunday evenings are usually set aside for spoken English classes. “Around 60-80 people usually attend our regular vasagar vattam and book review sessions. We update our intimation board regularly so that members and visitors can keep track of all the library activities. 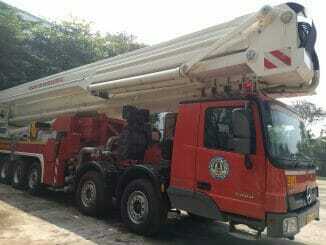 Sometimes we also call or send SMS to our regular visitors to remind them of upcoming events,” says Venkatesh. The bigger libraries also have dedicated sections for aspirants preparing for competitive examinations to sit down with their own books and study. The Deveneya Pavanar Library also offers free coaching for state and central civil services aspirants. Despite all this, several concerns remain. Mathi, a regular library visitor finds the book arrangement disorderly with titles and themes jumbled across many racks. Rickety chairs and dysfunctional fans add to readers’ woes. Many young readers say they prefer going to the Anna Centenary Library over the other public libraries because of better infrastructure and the presence of like-minded people around. The Centenary Library has a dedicated space for civil services aspirants and attracts a number of them. Books are catalogued better, the library has comfortable tables and chairs and is centrally air-conditioned, and drinking water is provided at every floor. The city corporation collects a library cess as part of property tax. Revenue thus generated is used for purchase of new books, improving library infrastructure as well as to manage recurring expenditures. More often than not, however, a bulk of the amount is set aside for the upkeep of the Anna Centenary and the Connemara libraries. Lack of manpower has proved to be another huge stumbling block. Spread over two floors which house over 2.26 lakh books, the massive Gandhi Nagar Library and its 14,500 strong member list is managed by three librarians. Making matters worse, librarians are often made in-charge of two or three libraries due to staff shortages. Notwithstanding the red tape and harsh digital encroachment, it is heartening to see reading rooms and library aisles diligently fighting off tablets and e-book readers, surviving against all odds. Here’s hoping more readers take to local libraries and help them stay afloat a while longer. For a list of Chennai’s public libraries, click here. 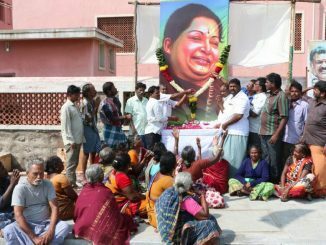 Glimpses from the city on a day when it bid final farewell to one of its greatest icons, as the ruling chief minister J Jayalalithaa – Amma to all – passed away.